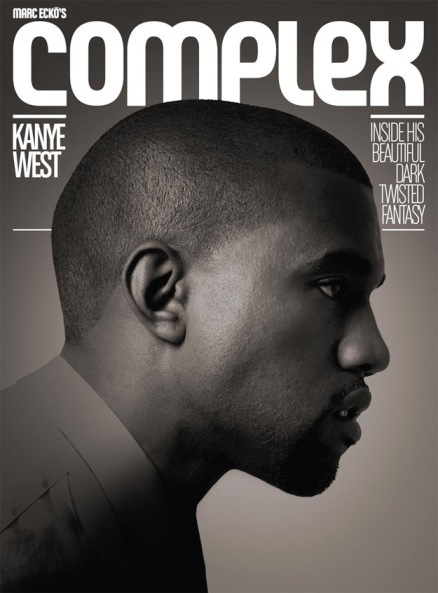 Kanye West graces the cover of the December/January 2011 of Complex Magazine. The cover story has exclusive behind the scenes footage of the recording process of My Beautiful Dark Twisted Fantasy. Kanye’s process is communal he literally goes around the room asking everyone there what “power” means to them, throws out lines to see how they’re received, and works out his exact wording with whomever is around to help. But his output is most definitely entirely his own one listen to that consistently unique cadence, word choice, and sense of humor reveals that. Rappers, producers, and entourage are all welcome to offer ideas or phrases, but the funny thing is, nearly every suggestion is met with, “That’s really not at all a word I would ever say, but don’t stop offering ideas, thanks!” In fact, that day, a rah-rah couplet is offered by a rapper in the room (who will remain nameless) to close a line on “Power,” and Kanye jokingly says it would be “great if my name was LL and I was making ˜Mama Said Knock You Out Pt. II. '” You get the feeling it’s addition by subtraction with him the demonstration of what he doesn’t like illuminates what he does like.